Hello all, it's a Wednesday, so you know what that means. 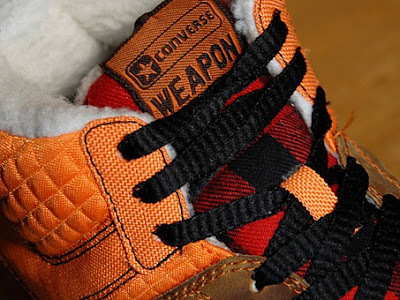 It's time to show off another pair of Converse Weapons. This Weapon is pure greatness. 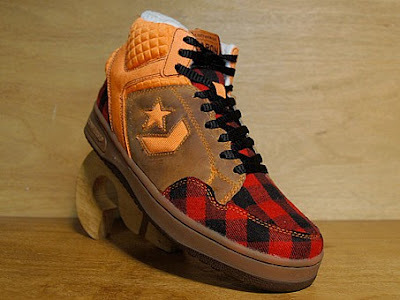 I can't think of a better way to explain it, well besides calling it the Lumberjack....so here you go....oh wait I almost forgot, these pictures come from Size?, a site from the UK, these are their pictures so go there and check out the store.....right here. Here is a good shot of the fleece around the ankle. Below that is another show the fleece and the top of the shoe. 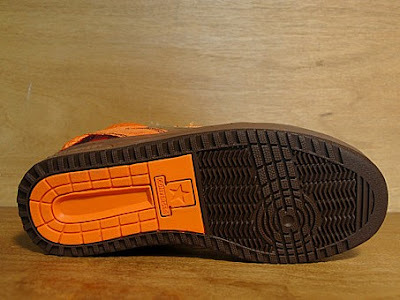 This might be the best outsole to any Weapon I've seen in a while. I love the Orange heel area surrounded in brown. These last two are shots of the whole shoe. 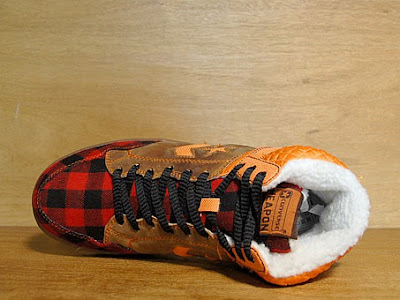 You can the neon orange worn by lumberjacks at work. 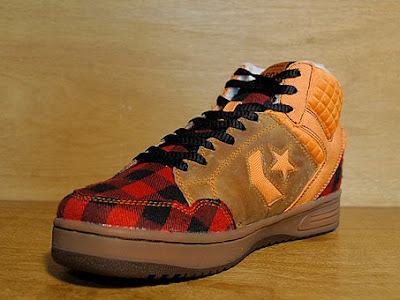 You'll also see the red flannel also worn by lumberjacks, well that's assuming stereotypes hold true. 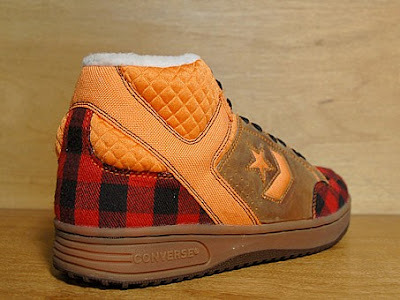 Then you'll see the suede area in the middle of the shoe, this would appear to be like the gloves a lumberjack might well. Alright well that's it for today, more NBA Media day pictures are leaking out, but I haven't seen anyone new yet. Of course this might have to wait for the preseason at least. Oh well, thanks for reading today and come back Friday for the Flashback.